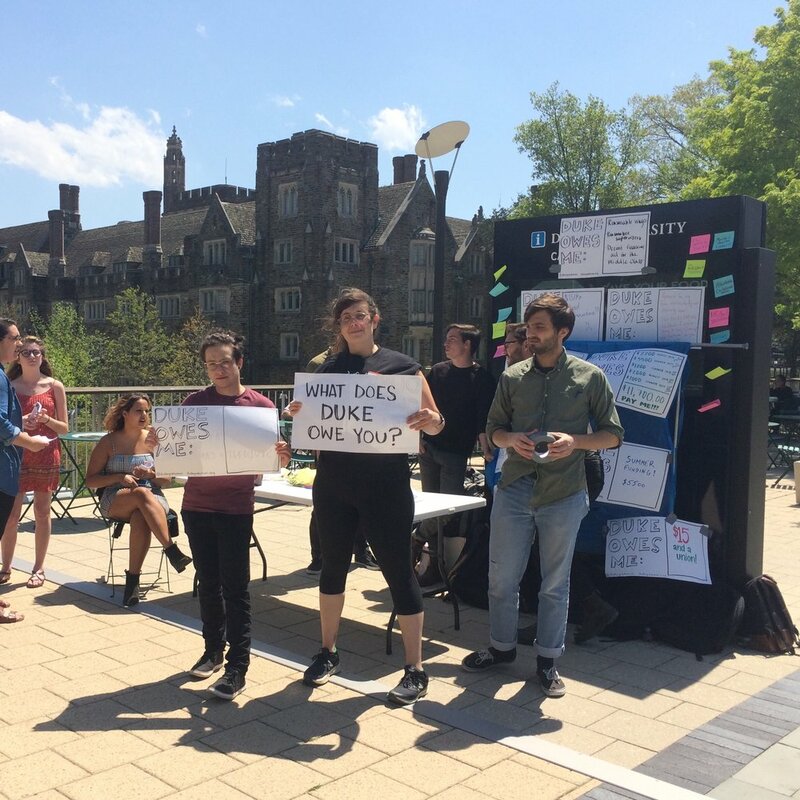 Check out our timeline about the history of labor at Duke University! Today was the day when Your Intrepid Reporter just about slept with the fishes. Instead, because of an 18-inch thick pane of acrylic, Your Intrepid Reporter was simply able to walk through the Georgia Aquarium and enjoy the sea turtles, otters, Beluga whales, sea lions and whale sharks. 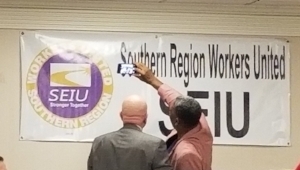 The final day of the SEIU Southern Region Conference began with a review of the Southern Region’s financial report. Your Intrepid Reporter’s report on the financial report is this: it was reported. The session ended with the distribution of various awards given to locals for reaching membership and membership growth goals and for locals that were able to hit targets for participation in PAC contributions. 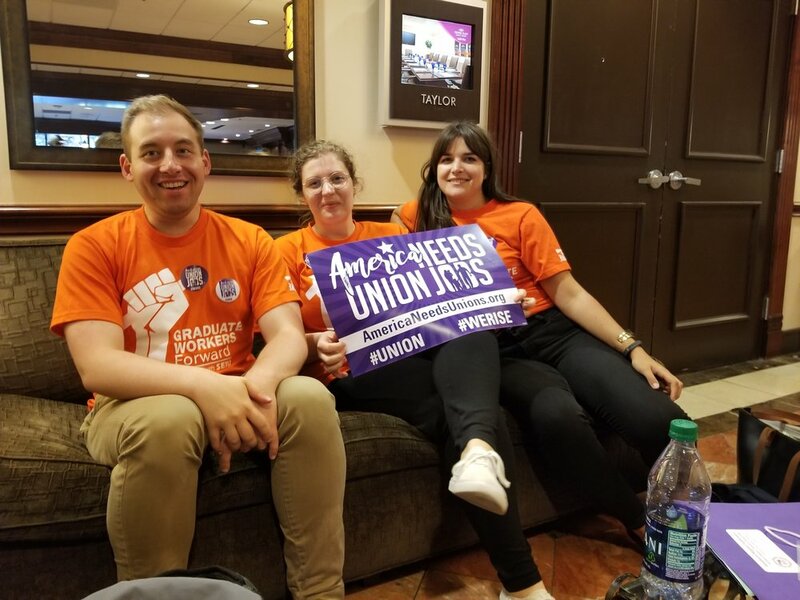 DGSU members accepted a pair of awards that were earned by the Duke Faculty Union for raising money for PAC contributions from over 30% of its members. At the conclusion of the session, Your Intrepid Reporter travelled to Downtown Atlanta to visit the Georgia Aquarium, and it was there – dear reader, it was! – where Your Intrepid Reporter saw so many wondrous sea creatures and marine wildlife et cetera, et cetera, et cetera. And what a wondrous sight it was!